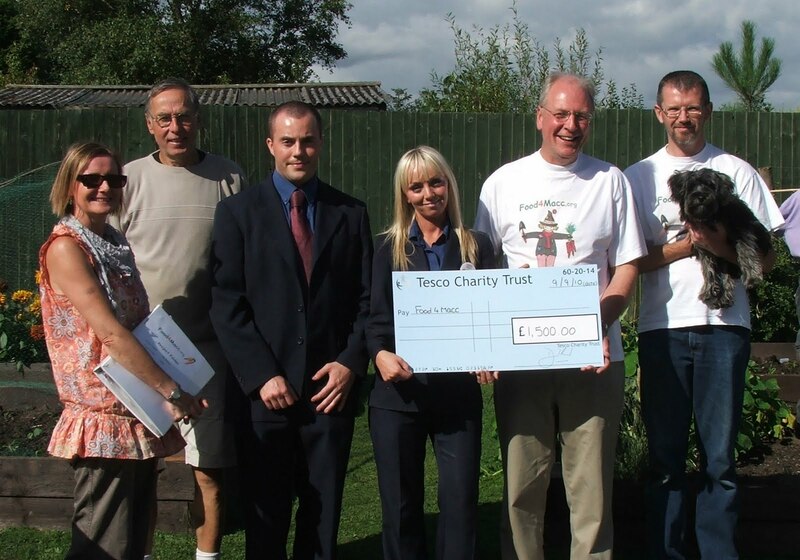 Tesco has awarded a grant of £1,500 to Food4Macc. Currently two of our community gardens are situated in the grounds of Care Homes for the elderly, and the Tesco grant is specifically aimed at projects relating to the elderly in our community. At the Rowans Care Home Food4Macc has already established four raised beds for growing vegetables plus other beds for soft fruit including raspberries, gooseberries, blueberries and jostaberries. Food4Macc will use the grant at the Rowans and at other sites benefiting the elderly. The plan at the Rowans is to build a fruit garden with a variety of apples, plums, damsons, pears, cherries and apricots with additional soft fruit beds for more blueberries, various currants, strawberries and other soft fruits.